Just because something is brand new doesn’t mean that there’s a market for it. 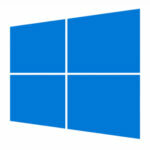 Just look at Windows 8; it might have been a brand new operating system when it first came out, but it didn’t really take to users, who preferred the familiar feel of Windows 7. 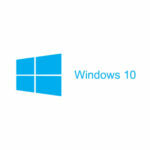 How do business owners suspect Windows 10 will affect the business world? – 64 percent of IT professionals said they were most interested in the return of the Start button, 55 percent cited the free upgrade from Windows 7 and 8/8.1, and 51 percent referenced enhanced security. – Only eight percent of respondents said they were interested in the touch-optimized interface, six percent cited Cortana, and five percent were interested in Hello. – When IT professionals were asked to disclose their general impressions of Microsoft’s new browser Edge (previously known as Spartan) 25 percent said they were somewhat to very positive, 23 percent said they were neutral, and nearly half said they didn’t know enough about the new browser to have formed an opinion. Four percent of respondents were somewhat to very negative. 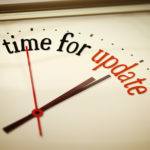 While many users are simply interested in the free upgrade and the return of the Start menu, they don’t necessarily expect a lot from the other features, like touch-screen compatibility and Cortana. Still, upgrades are upgrades, and the significant number of anticipated upgrades makes us happy. As IT professionals, we always emphasize the importance of running a supported operating system, as well as how much the latest technology can improve your business’s productivity. Even if users aren’t immediately upgrading to Windows 10, so long as they aren’t opting to continue using an unsupported operating system, they’re doing something right. However, these numbers also tell us that there are a lot (as in, the majority) of businesses that plan on leaving behind their legacy applications, or finding more modern solutions that better handle their workload. Many users don’t take into account the fact that their legacy software might not perform to top specifications, or even be compatible at all, with the latest technology. This can prevent your business from getting the most out of its information systems. We worry that this might be the case with Windows 10. 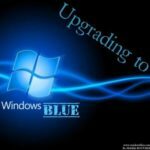 Because of Microsoft labeling it as “free” for users of Windows 7 and 8/8.1 for a whole year following its release, many users feel an enormous amount of pressure to upgrade before this offer’s expiration date. If this sounds familiar, we want to reiterate that you should carefully consider any and all applications that you currently use, especially if they qualify as legacy software. 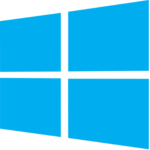 One great way to find out if your technology is compatible with Windows 10 is to contact the technology professionals at Quikteks for a free IT consultation. 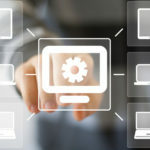 We can assess the needs of both your network and your individual workstations, so you can find out what changes must be made before upgrading to a new operating system. This helps you avoid downtime and operation roadblocks that could potentially lead to lost productivity following the upgrade. After all, the point of an upgrade is to improve productivity, not hinder it. Give us a call at (973) 882-4644 to learn more.